With its bold and gold metallic gradients and ornamental finishes, this cake is up and ready to walk into the room drippin' in gold! 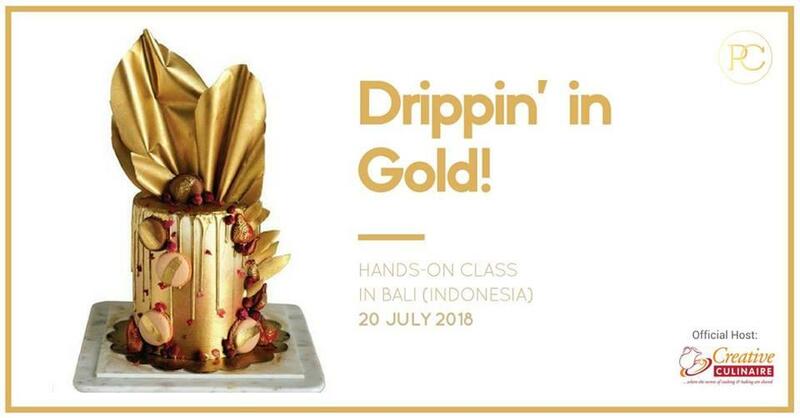 Join us and learn how to master this grandeur edible beauty, and perfect beyond just a regular drip cake technique. * Open to all levels. * This class is taught using real edible cake. *All materials and tools will be provided in class. Lunch will be served.